Hello there. 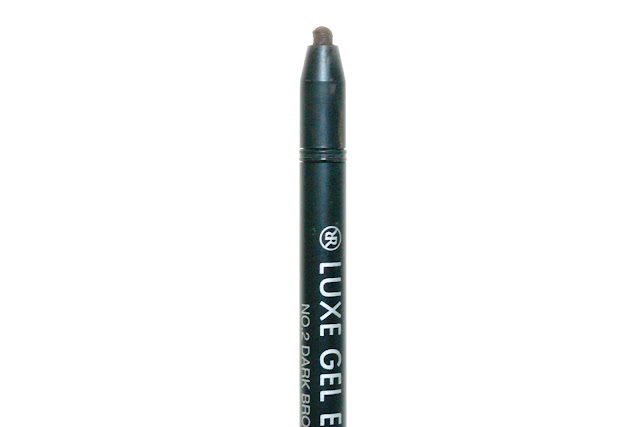 Let's get unto today's product review with RiRe's Luxe Gel Eyeliner. 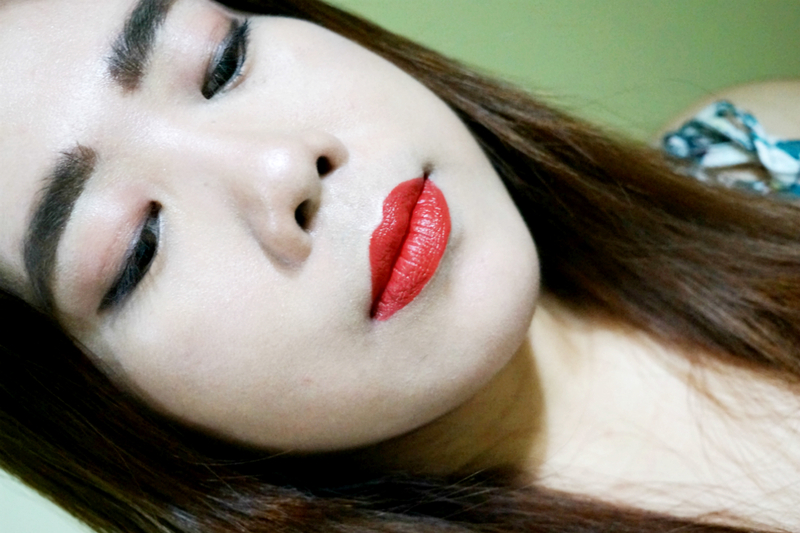 I got this eyeliner from Althea for only ~ Php 150, but the regular price is Php 210 which is still affordable enough. 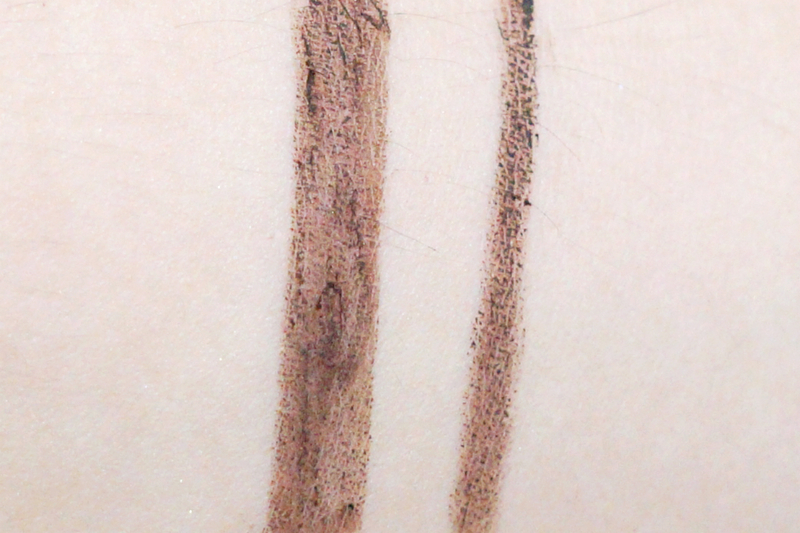 I have the shade 02 Dark Brown that's (about) two shades lighter than black. This kind of brown is great for everyday low-key makeup. Black can be too dark and stark especially for daytime use, so brown is a good compromise if you still want to emphasize your eyes. I usually stick to Asian brands when it comes to eyeliners as I find that they are more suited to Asian aesthetics, especially when dealing with mono lids. 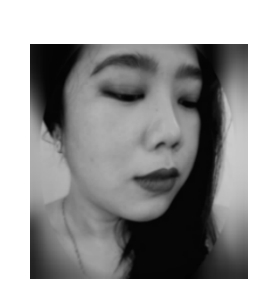 As a regular eyeliner wearer, my usual concern is with those that smudge like hell (hello, panda eyes) and migrate to my eyelids. I have oily, mono lids so keeping my eyeliner in place is a constant struggle. This eyeliner was a bit dry and I needed a bit of an effort with the application. As you can see from the swatch, the consistency is not as smooth and even. To get full pigmentation, I need to do 2-3 layers. The color is also not very vivid and deep. I think the eyeliner applies better on the lids (at least on my rather oilier lids). Despite being uneven, there was minimal pulling and tugging on application. 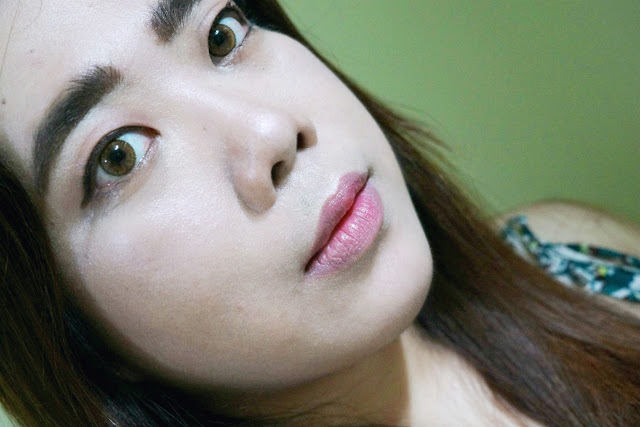 This also smudged a bit and transferred on my upper eyelids (see above photo, right). 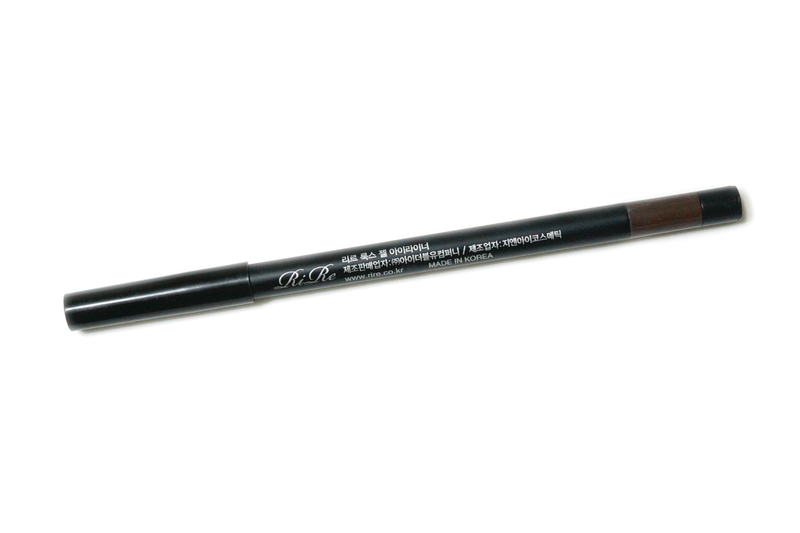 Even if I allow it to dry for a several seconds before opening my eyes, this eyeliner still has a tendency to transfer. To counter this, I pat on a taupe-y eyeshadow on top. 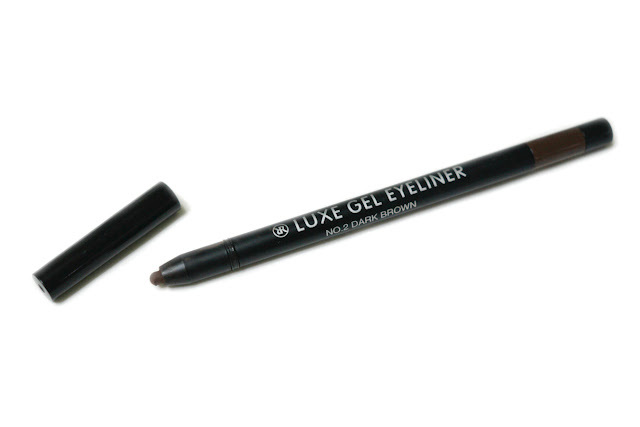 This sets the eyeliner and smudging and transfer is lessened. The smudging isn't too bad though as it didn't cause any panda eyes. This wore well for up to four hours, and after that faded somewhat unevenly and I can see bald patches along my eye line. Despite its faults, I have used this eyeliner several times. I guess I like it enough. It's particularly great when used as an overall lid color, or smudged up a bit for a smokey look. This doesn't draw thin, precise lines. I have tried sharpening the tip using the built-in sharpener on the tip but the eyeliner just broke (it was too soft). I wasted quite a bit of product doing that so I gave up on sharpening it. Overall, RiRe Luxe Gel Eyeliner is a "good enough" product for low-key everyday wear at an affordable price.